Governor Asa Hutchinson and the Arkansas Department of Education recently announced 17 winning teams from the All-Region Coding Competition that took place Feb. 12, 2018, at 13 regional contests around the state. The team from Russellville High School was one of the winning teams. 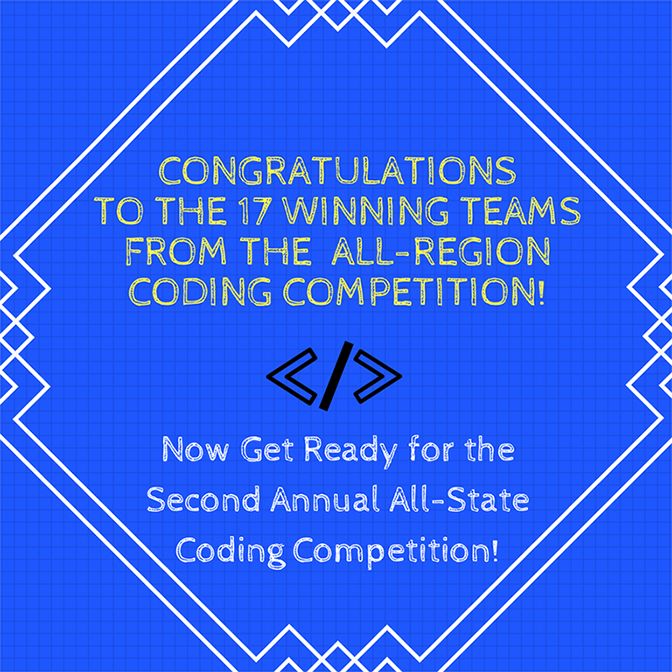 RHS and 16 other selected teams will receive an invitation to participate in the Second Annual All-State Coding Competition, which will take place at Arkansas State University in Jonesboro May 5, 2018. Each member of the first-place team will receive a $2,000 award that will be deposited into a 529 College Savings Plan. Each member of the second-place team will receive a $1,000 award deposited into a 529 College Savings Plan, with each member of the third-place team receiving a $500 award deposited into a 529 College Savings Plan. In addition, the schools that register/sponsor the first-place, second-place and third-place teams will receive $10,000, $6,000, and $4,000, respectively, to support their computer science programs. The prizes and competition expenses are provided by a Verizon grant to ARCodeKids. “Congratulations to the 17 teams heading to Jonesboro in May to compete in the Second Annual Governor’s All-State Coding Competition!” Gov. Asa Hutchinson said, “When I partnered with the Arkansas Department of Education in 2016 to announce the first All-Region and All-State Coding Competitions, I knew that Arkansas’ bright and talented young minds would rise to meet the challenge. I am confident that the members of this year’s teams will continue to impress us with their creativity and innovation in the 2018 competition." "ADE extends congratulations to the advancing team members, sponsors and schools," said Anthony Owen, state director of Computer Science Education. "In addition, all 13 hosting locations are to be commended for the work of their staff in making the regional events successful and fun for students."